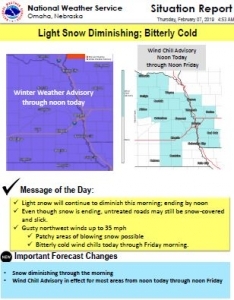 Blowing snow and very cold wind chills expected. Additional snow accumulations of up to half an inch. Winds gusting as high as 40 mph. 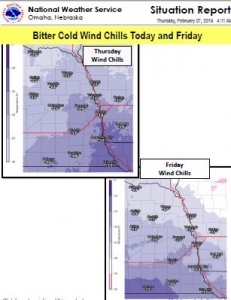 Wind chills as low as 30 below zero expected. 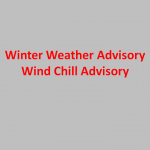 For the Wind Chill Advisory, from noon today to noon CST Friday. Plan on slippery road conditions. 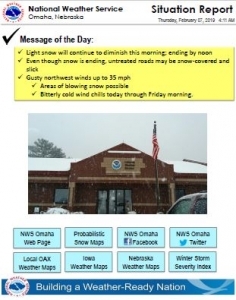 Patchy blowing snow could significantly reduce visibility. 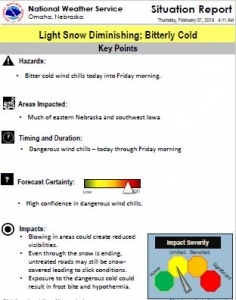 The hazardous conditions could impact the morning commute. The cold wind chills could cause frostbite on exposed skin in as little as 30 minutes.